Shinsuke Nakamura defeated Hirooki Goto (c) (22:56 minutes) - TITLE CHANGE!!! 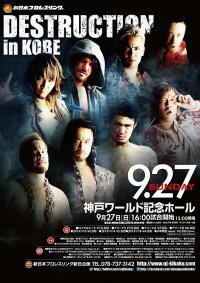 Information about the match times of the event: Overall, the nine matches of this event with a known match time contained 1:52:21 hours of in-ring action. Since the match time of all fights is known, this is also the combined match time of the whole show.